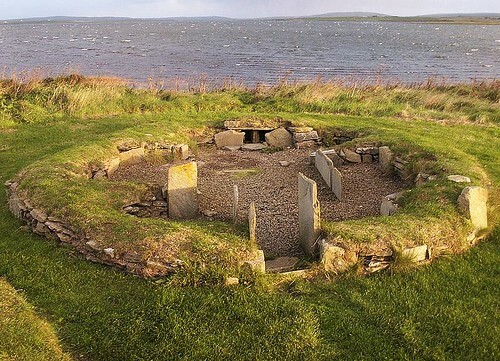 A small settlement on Mainland, Orkney south west of Kirkwall, just off the A964. 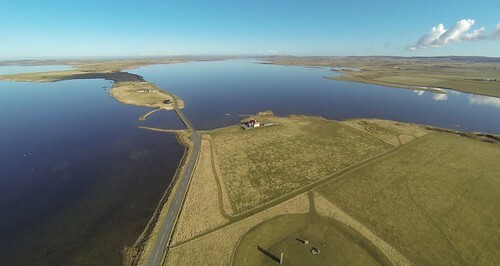 On the southern shores of West Mainland, overlooking Scapa Flow, is the scattered community of Orphir, which has a few sights worth visiting, especially if you're heading across to Hoy from the ferry terminal at Houton, a little further west. 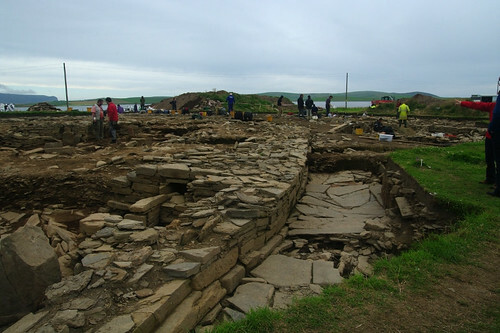 The main point of interest in Orphir is the Orkneyinga Saga Centre, where a small exhibition and video introduces the saga, written circa 1200, possibly by an Icelander, which tells the history of the Viking Earls of Orkney from around 900 AD to 1200 AD, when the islands became a part of Scotland rather than Norway. As you would expect, there's plenty of gore and Machiavellian goings-on, including an assassination attempt that went disastrously wrong, when a poisoned shirt meant for Earl Harold was unwittingly and fatally worn by his brother Paul instead. The centre closed for a while but reopened again in 2013. Info - All year daily 0900-1700. Free. Behind the centre is The Earl's Bu, looking out across Orphir Bay south to Cava Island. 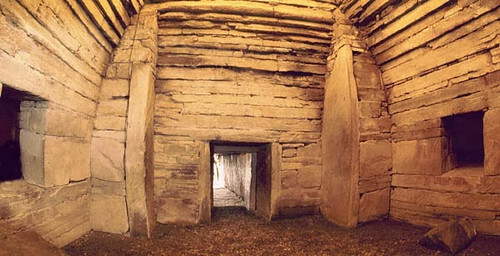 These are the 12th-century foundations of the home of the Norse Earls of Orkney written about in the saga. Inside the cemetery gates is a section of the circular church built by Haakon and modelled on the rotunda of the Church of the Holy Sepulchre in Jerusalem.